Everyone involved in a building project wants to achieve a better building but design quality means different things to clients, users, architects, cost consultants and contractors. Negotiating design priorities is an important part of the development process. The Design Quality Manual helps give an objective evaluation of the qualitative aspects of design. Matrices with five defined levels of quality have been developed that cover the key areas of architecture, environmental engineering, user comfort conditions, whole-life costs, detail design and user satisfaction. These can be scored by a visual survey and professional judgement and then augmented by scientific measurement where possible (e.g. temperature, lighting and sound levels). The resultant scores allow comparisons in terms of overall and specific aspects of building performance and design quality. 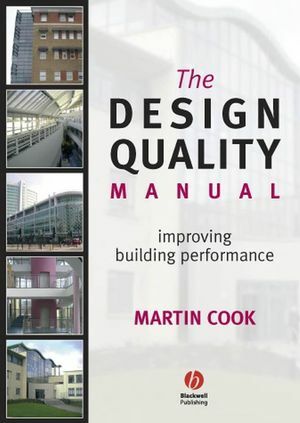 The Manual covers schools, hospitals and housing and offers a set of criteria by which to judge a broad range of design values; it focuses the design team on the needs of the end user and on the overall building performance. BRE’s branding is authoritative and independent – known for its definitive judgement as the consultants’ consultant.